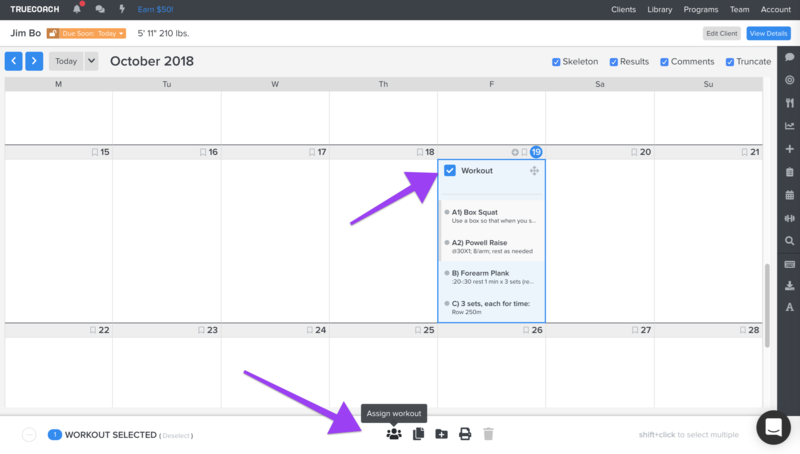 You can create a new group from two places on your client list. 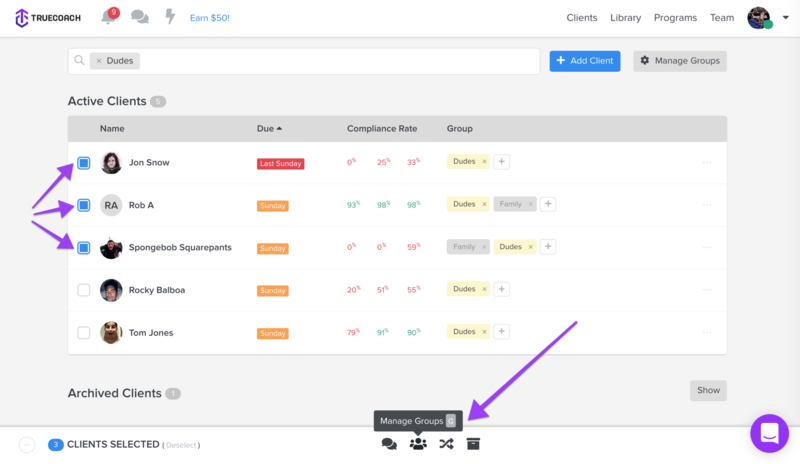 To add a single client to a group, click Add Group next to their compliance rates, or the ➕icon if they already belong to a group. And yes...a client can belong to as many groups as you'd like! If you'd like to delete or change the name of a client group, click Manage Groups, then Edit Existing Groups. 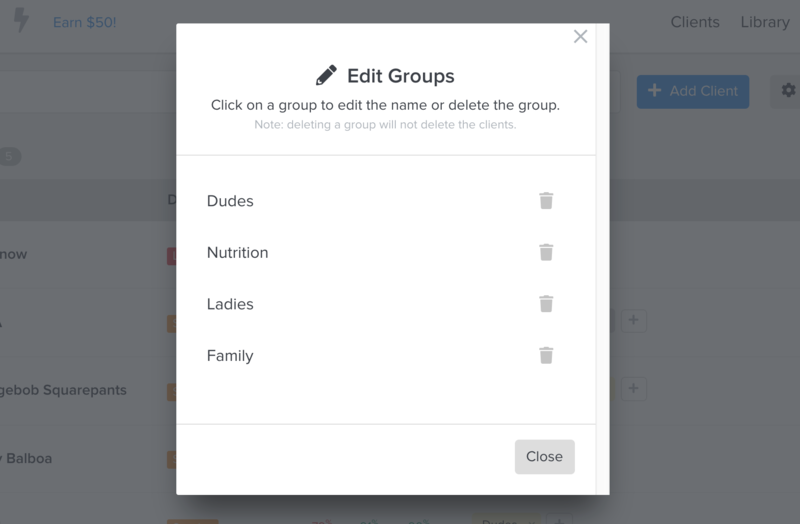 Edit the name by clicking on the group or delete it with the trashcan icon to the right. 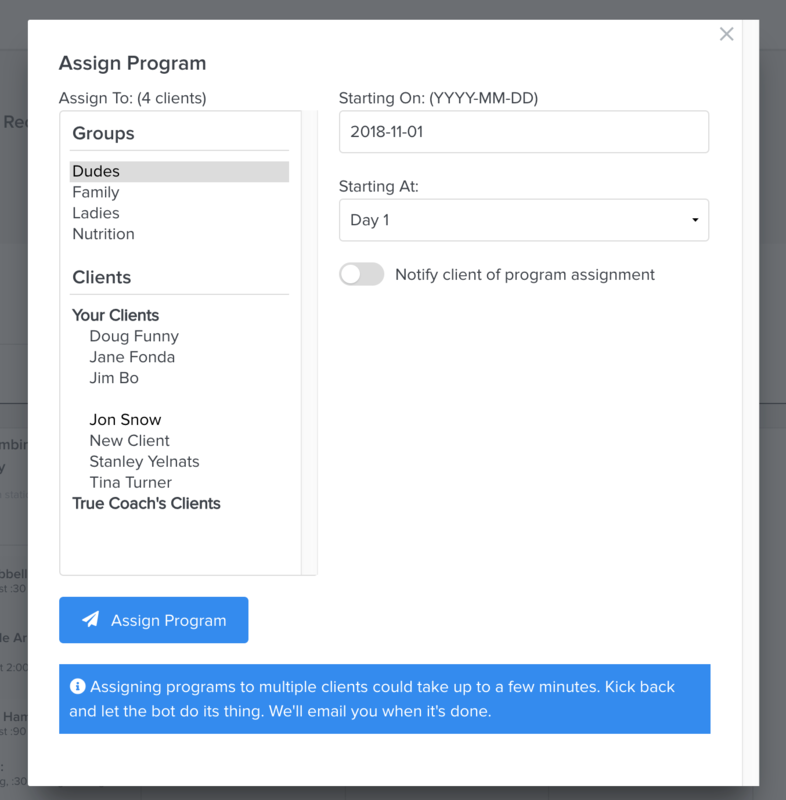 Much like assigning a program to an individual client, any groups you've created will be available to select as well. Hold down the command or control key to select multiple groups. More on programs here. 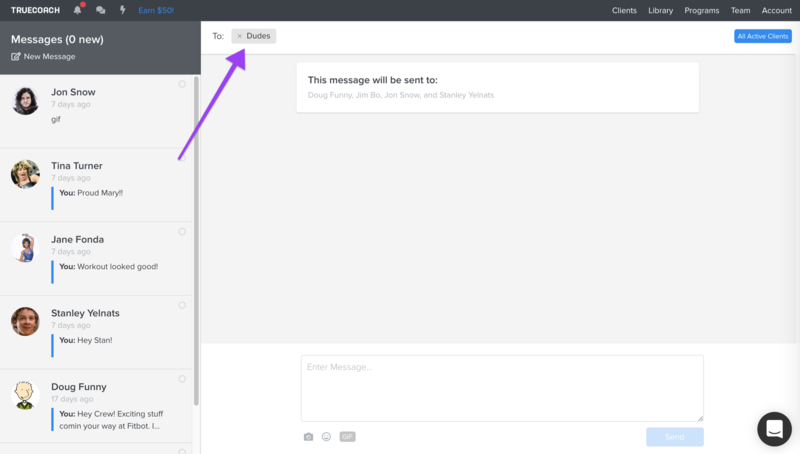 To message a group (or multiple groups) of clients, click New Message then locate the group from the dropdown. This will send the message to each individual client like a broadcast message. You can now view results and compliance rates for specific groups or client types on your dashboard! Use the drop down under today's date to select that group. Rather than copy and pasting a single workout to your other clients, you can now assign it just like you would an entire program! You can do this from both a client's workout calendar, or from a program. Only one workout can be assigned at this time, so if you'd like to assign multiple workouts it's best to create a program. Check the box on the workout you'd like to assign, then click Assign Workout in the footer. You'll be able to choose a group, client, or both to assign that workout to.